Ron Culp is an independent public relations consultant and the professional director of the public relations and advertising MA program at DePaul University. 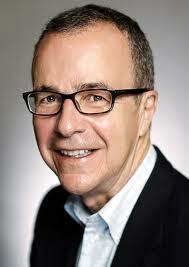 Prior to joining DePaul, Ron was senior VP and director of Ketchum’s North America Corporate Practice. He also served as Managing Director of the agency’s Midwest operations. Ron’s 35-year PR career spans a broad range of communications activities in government and business-to-business, consumer products, pharmaceutical and retailing industries. Prior to joining Ketchum, he opened and served as Managing Director of the Chicago office of Sard Verbinnen and Company, a leading financial communications firm. Previously, Ron was Senior Vice President, Public Relations and Government Affairs, for Sears, Roebuck and Co. During his Sears career, Ron managed internal and external communications, marketing public relations support, state and federal government affairs and community relations, including the Sears-Roebuck Foundation which supported programs benefiting women and the arts. Earlier in his career, Ron held senior communications positions at Sara Lee Corporation, Pitney Bowes, and Eli Lilly. At Sara Lee, he handled corporate, event and internal communications for the consumer products company. He oversaw a number of Sara Lee’s arts sponsorships, including the historic, first-ever art exchange between the Hermitage and Pushkin museums in Russia and the Art Institute of Chicago and the Metropolitan Museum of the Arts in New York. He also served for six years on the Art Institute’s marketing committee, and was Executive Director of corporate sponsorship activities for Sara Lee’s Olympics partnership. As Director of Public Relations at Pitney Bowes, Ron oversaw all aspects of internal, external and financial public relations. He also was responsible for opening the corporation’s new I.M. Pei-designed world headquarters. At Lilly, he was the company’s primary media spokesperson. He began his career as a reporter for The Columbus (Ind.) Republic before moving to the New York State Assembly where he served as Director of Member Services (the PR support unit) under both Republican and Democratic administrations. In addition to his DePaul academic and administrative role, Ron often is a guest lecturer at other universities, including Northwestern, Georgetown, Oklahoma, Alabama and Kansas. He also serves on PRSA’s Educational Affairs Committee and is a member of the Blue Ribbon Panel for the Howard University School of Communications and the Advisory Council for the marketing communications program at Columbia College in Chicago. He is a member of the Accrediting Committee of the Accrediting Council on Education in Journalism and Mass Communications (ACEJMC).